CAIRO (AFP) – An alabaster head of Cleopatra and a mask thought to belong to her lover Mark Antony have been found near Egypt’s Mediterranean city of Alexandria, antiquities chief Zahi Hawass said on Monday. Some 20 bronze coins stamped with Cleopatra’s face were found in underground tunnels 50 metres (164 feet) deep in the archeological site, Hawass said. 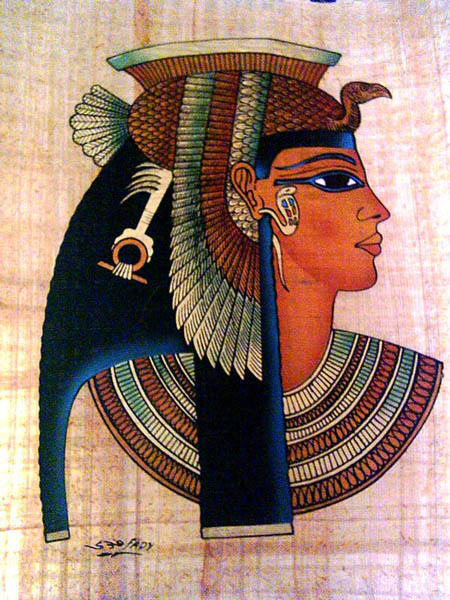 The teams had originally been searching for Cleopatra’s tomb but Hawass “categorically denied” that they were any closer to finding the queen’s burial place. “We have found nothing that indicates the presence of the tomb,” he said, adding that the search for the tombs will restart in November. The discovery of Cleopatra’s tomb would be the biggest archaeological discovery in Egypt since Britain’s Howard Carter found the tomb of boy king Tutankhamen in 1922. Cleopatra and Mark Anthony are one of the most famous couples in history. They committed suicide after their defeat at the battle of Actium, which consolidated Octavian’s rule of Rome.